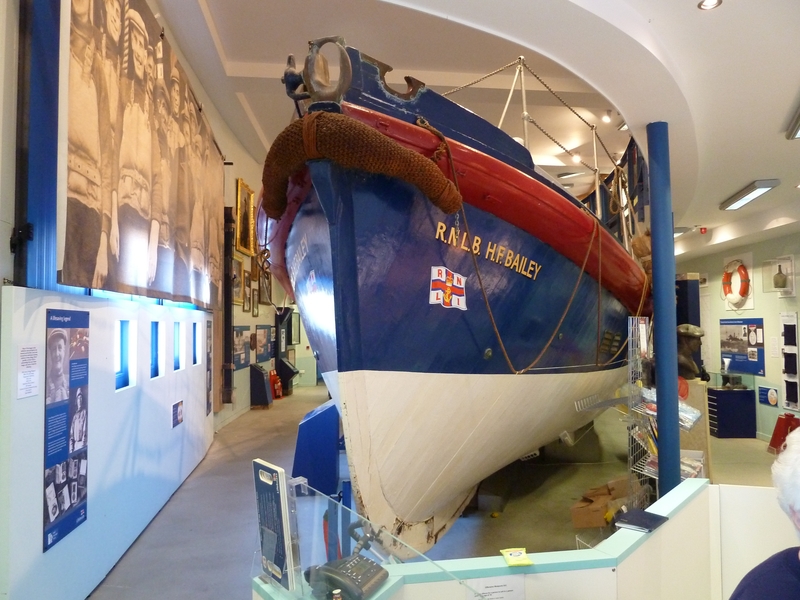 Designed by G L Watson, H F BAILEY was built by Groves & Gutteridge in 1934 at Cowes. 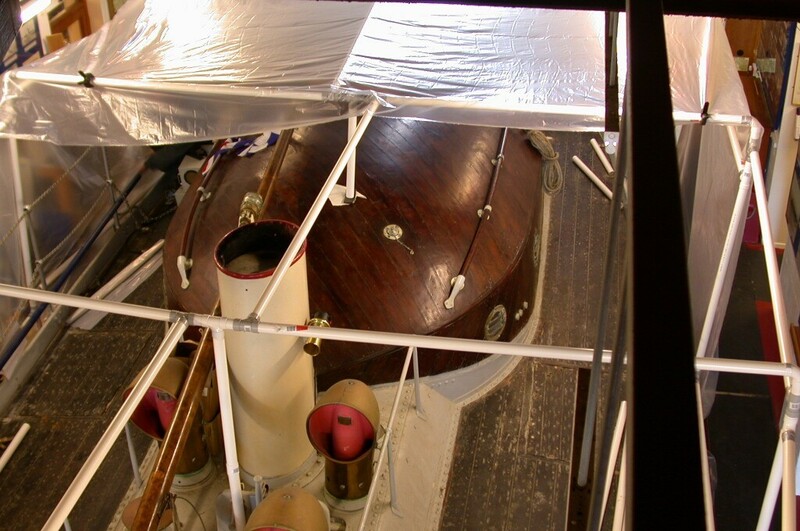 Donated by Henry Francis Bailey of Brockenhurst at a cost of £7307 14s the lifeboat entered service at Cromer on 12 December 1935 as No1 lifeboat under Cox’n Henry Blogg. Launched over 125 times, she saved 514 lives during World War II. She was transferred to Helwick Head (Eire) in 1946. 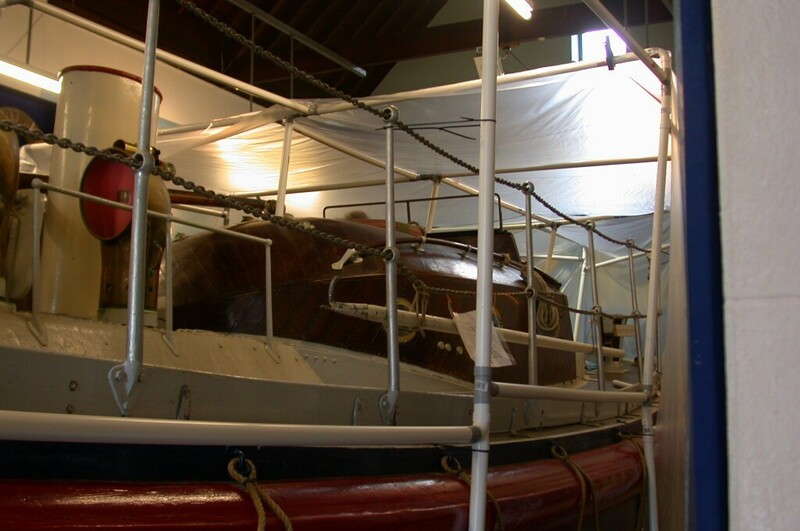 After about 12 years’ service, she was transferred to the reserve fleet until 1969 when she was sold to the RMC Group and put on display at Thorpe Water Sport Park in Surrey. 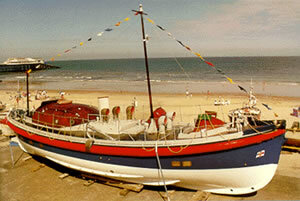 Since 1994 she has been on display at Cromer No 2 Boathouse.